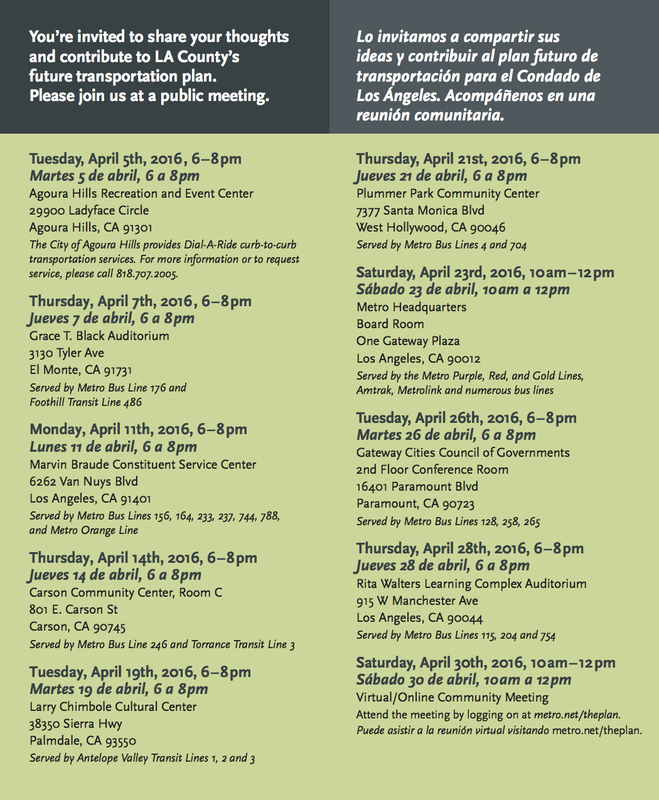 As some of you may have heard, Metro has been holding community meetings this month to help people understand the draft spending plan for the agency’s potential ballot measure to fund a long list of projects and transportation programs and improvements. If you couldn’t make it to a meeting, no big deal — a virtual/online meeting will be held from 10 a.m. until noon this Saturday. To register and listen online, click here. The flyer for the meeting is above. Metro’s potential ballot measure calls for a half-cent sales tax increase for 40 years and an 18-year extension of the existing Measure R sales tax, with both running through 2057. 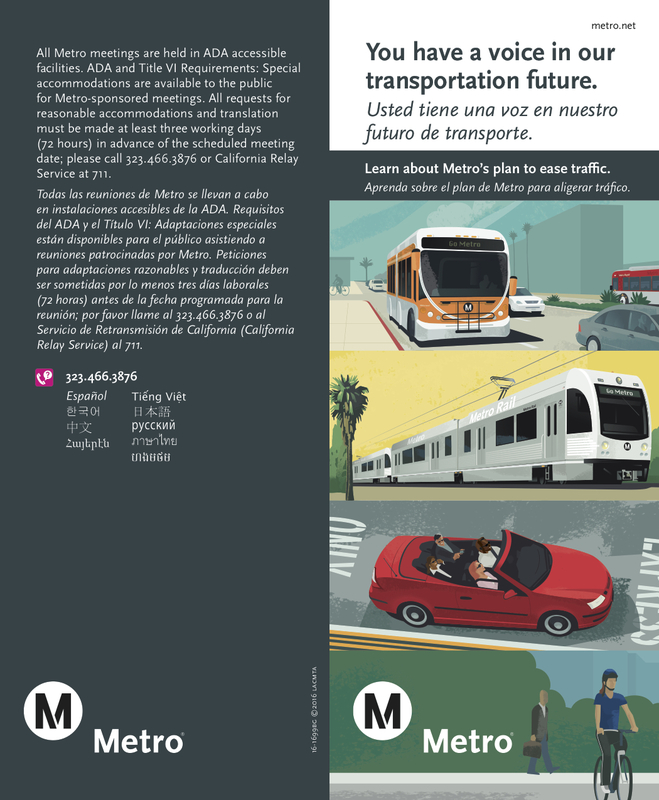 Metro staff have also proposed 45- and 50-year alternative plans to include more projects and funding for programs. Here’s a previous post about the draft spending plan for the ballot measure. Please visit theplan.metro.net for more info and use the hashtag #metroplan when discussing on social media. Public comments are being accepted until May 20. The Metro Board of Directors is scheduled to consider the spending plan and whether to put the ballot measure before voters at their June 23 meeting.